There aren’t too many secrets left anymore in the world of wine. Alto Piemonte and Valtellina are two of them. 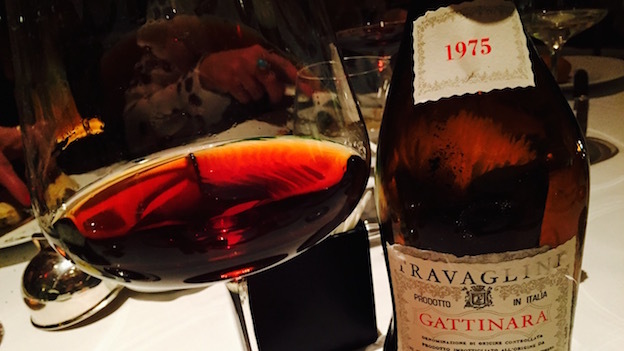 When we think about Nebbiolo these days Barolo and Barbaresco are often top of mind, but there was a time when the center of Piedmont’s wine universe was in Gattinara and not in the Langhe. Further east, in Lombardy, the terraced vineyards of Valtellina are capable of yielding distinctive Nebbiolos rich with a sense of place. Over the last decade or so, prices for top-flight Barolo and Barbaresco have risen to the point that many longtime buyers of those wines are increasingly priced out of the market. Fortunately there are other fertile hunting grounds for readers who crave the aromatic nuance, translucence and structure that only Nebbiolo can deliver. Best of all, prices remain quite reasonable in both Alto Piemonte and Valtellina, especially considering that a number of properties release their top selections with a few years of bottle age, which makes them ideal for consumers who appreciate wines with the nuances that can only develop with time. Nebbiolo finds a number of distinctive expressions in and around the towns of Novara, Vercelli and Biella in the foothills of the Alps. The morainic soils, rich in iron and other mineral/sedimentary deposits that date back to the Ice Age, along with wide diurnal shifts, produce intensely aromatic, energetic red wines that are capable of aging for decades. Alto Piemonte reds tend to be taut, relatively high in acid and built for the dinner table. So far, climate change seems to have been beneficial in giving these wines a little more depth and early appeal than was the case a generation ago. Carema lies in the far northwest of Piedmont, north of Ivrea, and on the border with Valle d'Aosta. This tiny appellation and the reputation of its distinctive wines is kept alive by the work of essentially two producers, Ferrando and the local cooperative. Moving east, the provinces of Vercelli and Novara are divided by the Sesia River. Gattinara, Lessona and Bramaterra are all in the province of Vercelli, while Ghemme, Boca, Fara and Sizzano are in the province of Novara. Each of these appellations is unique and well worth exploring. Nebbiolo, known here as Spanna, takes the leading role, but it almost always works its magic in blends, with Croatina, Vespolina and Uva Rara playing supporting roles. The landscapes in this corner of Piedmont are particularly striking. 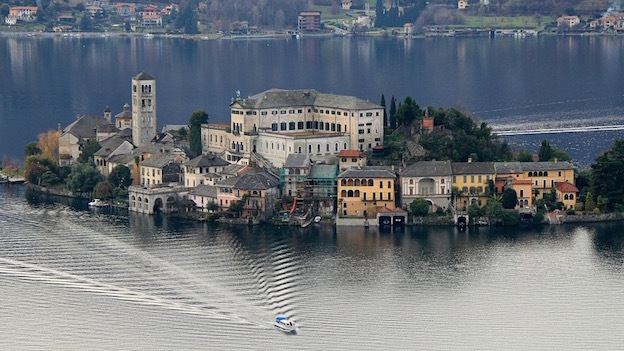 Lake Orta and the mountains give the region an air of tranquility all its own. When I lived in Milan, fifteen years ago, Lake Orta was one of my favorite weekend escapes. It may seem hard to believe, but in the 19th century, the wines of Alto Piemonte were far more important than those of Barolo and Barbaresco. Gattinara was considered Piedmont’s most notable red wine. Sadly, the effects of phylloxera were devastating. Vineyard acreage was further reduced as land was gobbled up during the boom of the local textile and auto industries. At the same time, quality began to improve in the Langhe, bringing those wines increasingly more attention, and leading to where we are today, with Barolo and Barbaresco towering over the rest of Piedmont. Interestingly, things are beginning to change. After years and decades of neglect, producers have started to rediscover the magic of Alto Piemonte. Many are returning to the lands of their ancestors. 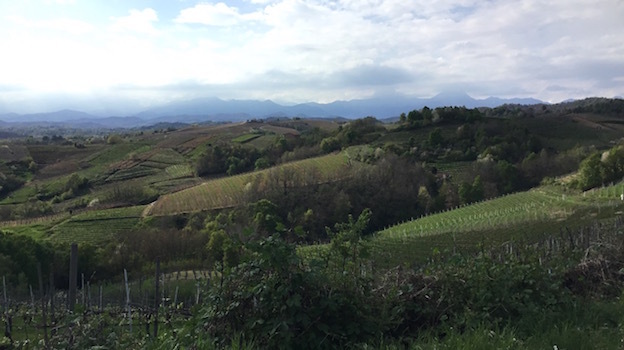 Paolo De Marchi is best known for the wines he makes at Isole e Olena in Chianti Classico, but the pull to return to his native Piedmont and resurrect the family’s Proprietà Sperino proved too strong to resist. Today, De Marchi’s son, Luca, runs the show. In the late 1990s, Tiziano Mazzoni returned to the countryside after having abandoned it during less prosperous times. Alto Piemonte has attracted its share of outsiders as well. Dieter Heuskel, a high-level German executive, teamed up with Alto Adige winemaker Peter Dipoli and started buying land in Bramaterra over ten years ago for what is now Le Pianelle. German importer Christoph Künzli discovered Boca in the late 1980s and similarly pieced together Le Piane, where he is now making some of the very finest wines in Italy. All of the new activity provides a fascinating complement to the wines of the region’s historic family-run estates, including Travaglini, Antoniolo and Vallana. Simply put, the wines of Alto Piemonte, in all of their guises, have never been more compelling than they are today. 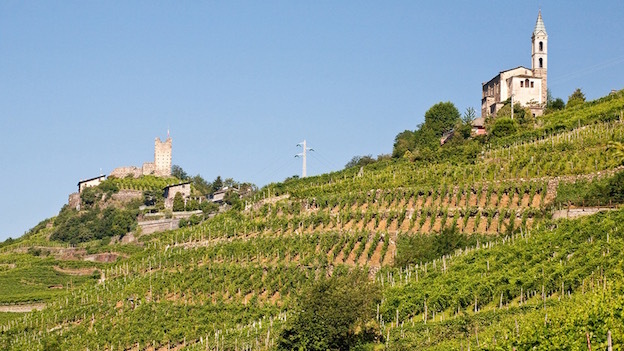 The steep, terraced hillsides of Valtellina, in northern Lombardy, also produce distinctive wines. Nebbiolo, known locally as Chiavennasca, is planted across a strip of land along the Adda River that traverses Sondrio and is divided into five small districts; Grumello, Sassella, Inferno, Valgella and Maroggia. All allow for a small amount (10%) of other local red varieties to be blended in. As is the case with the wines of Alto Piemonte, the Nebbiolos of Valtellina tend to be aromatic and gracious rather than overtly powerful, although they can have plenty of structure. Valtellina Nebbiolo finds one of its greatest expressions in Sfursat, which is made from partially dried grapes, Amarone-style. Despite its proximity to Milan and a number of other urban areas, Valtellina remains a niche and outside of the mainstream in most markets. That is a shame, as the wines are so distinctive. On the other hand, the relative obscurity of Valtellina and its wines is one of the main reasons prices have not increased at the pace seen elsewhere in Italy. The Rossos di Valtellina are terrific points of entry for readers who want to explore the many oenological riches of Valtellina.